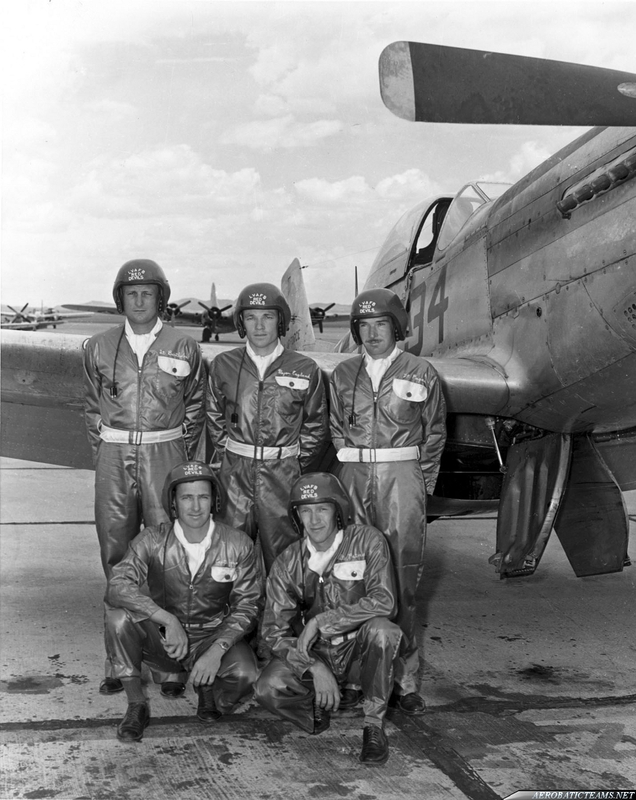 One of the many USAF display teams in the late 1940s wearing P-1 flight helmet with specialised artwork and not so fire proof nylon (shiny) flight suits. These nylon flight suits MELTED into the skin in crashes causing HORRIFIC burns for many of the pilots until changes to cotton flight suits were reintroduced. 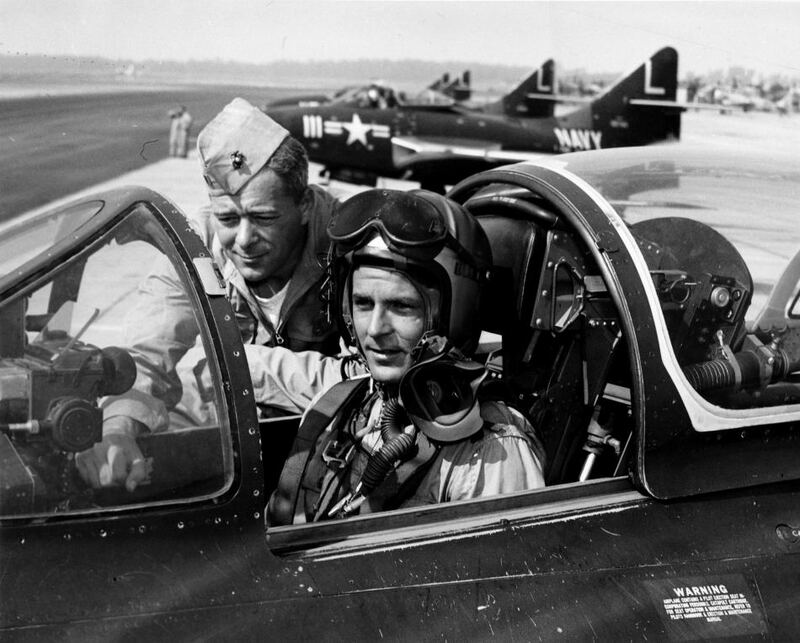 US Navy F9F Panther pilot wearing H-4 flight helmet, M-1944 goggles, and MS22001 oxygen mask. 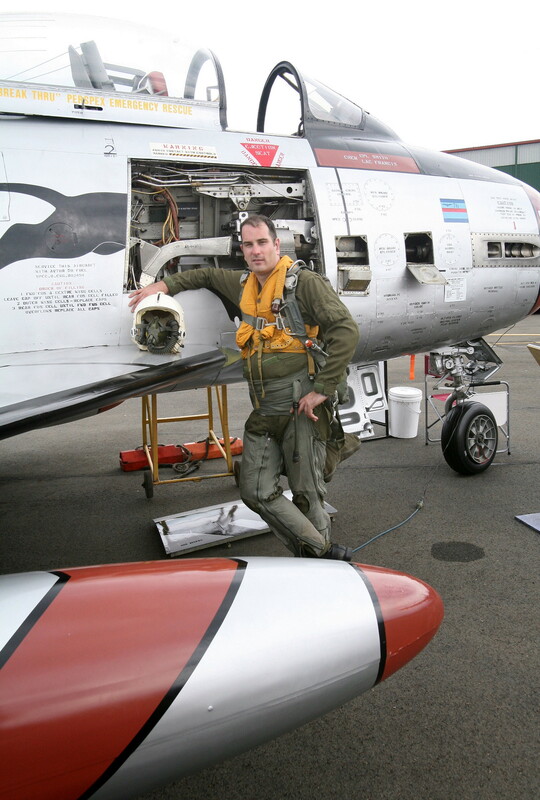 A US Navy pilot with a sqaure coloured APH-5 flight helmet with black oxygen mask receivers. 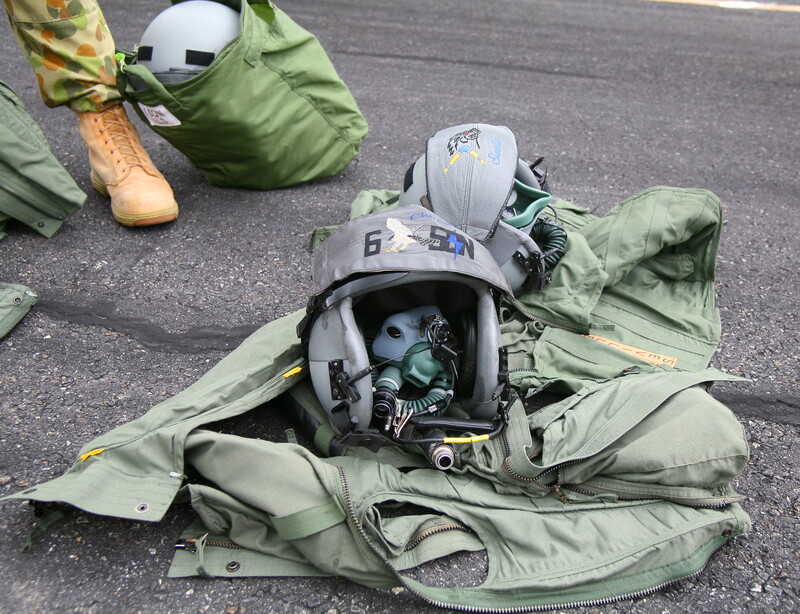 A MS22001 oxygen mask and orange Beauero flight suit is seen. 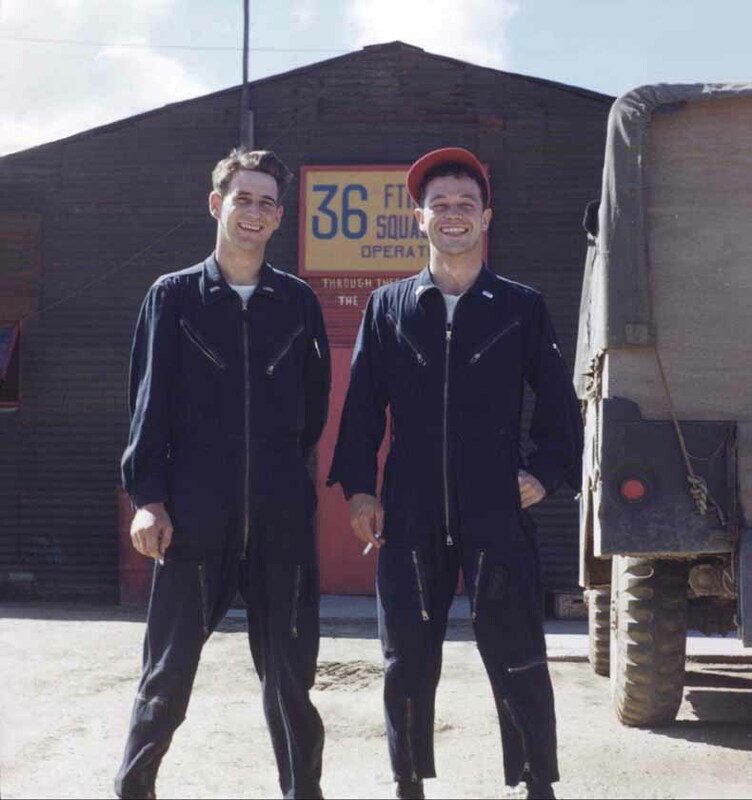 A 36th FIS Sqn USAF Korean war photo showing 2 flight crews in L-1A dark blue cotton flight suits used in mild/colder weather. 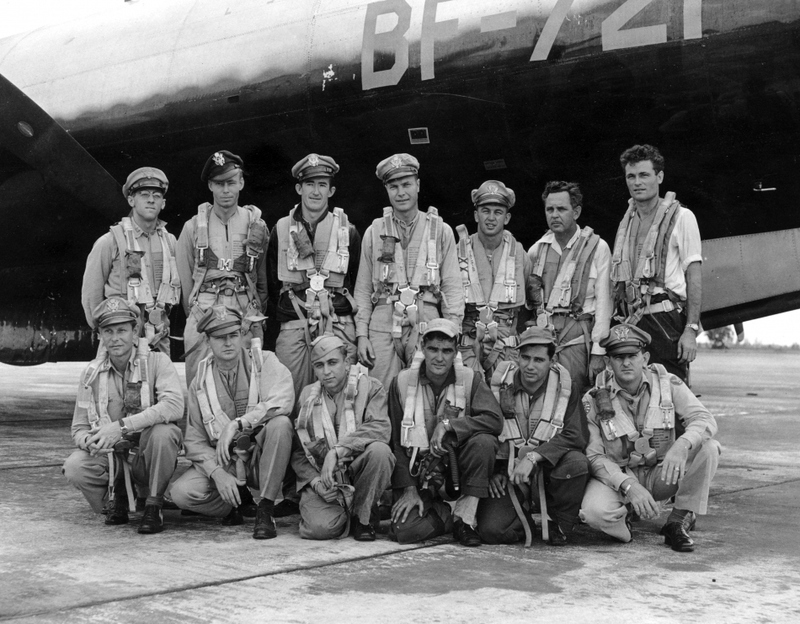 A late USAAF WW2 B-29 Superfortrtess crew wearing a mix of gear -from B-4 life preservers , tan flight suits, tan service dress, Crushers flight cap, early issued 1945 B-5 Life preservers, A-4 flight suits, B-2 flight caps and QAC (Quick Attachable Chest) parachute harnesses are worn by all aircrew. A rather worn out H-4 flight helmet with M1944 goggles, tan flight suit and US Navy seat parachute harness is worn by this 1950s US navy training pilot climbing into a T-6 Harvard for a flight. 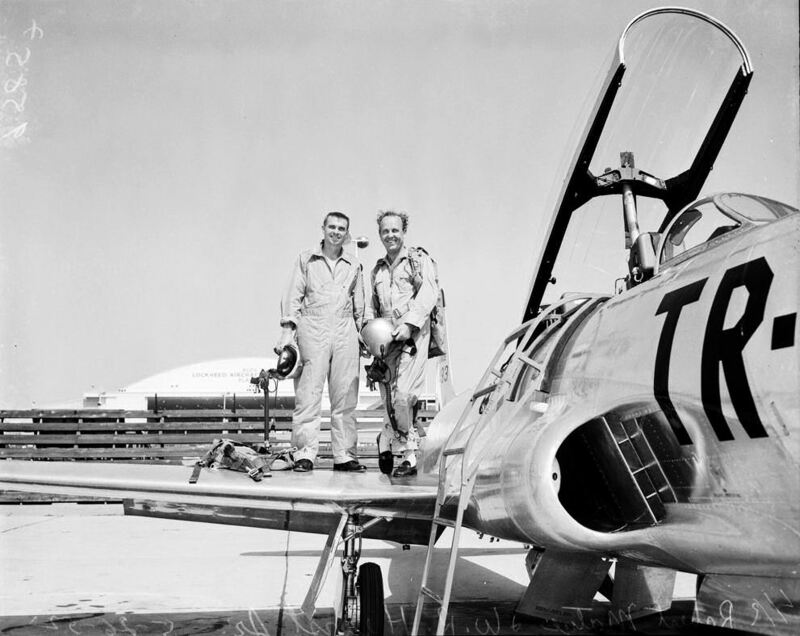 A USAF T-33 Shooting Star crew wearing K-1 flight suits, P-1A flight helmets, MS 22001 oxygen mask and backpack parachute harnesses. A USAF training F-80A Shooting Star pilot at Williams AFB, Arizona with P-3 flight helmet with early visor , MS22001 oxygen mask and seat style parachute harness. 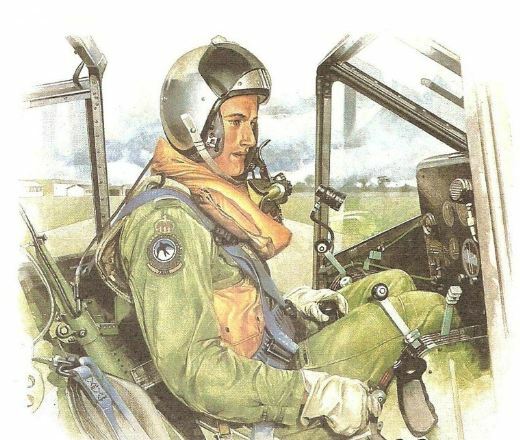 An artwork seen on a old Australian stamp showing a Australian RAAF pilot in a Winjeel trainer wearing a MK-1 flight helmet with a H type oxygen mask , Mk 8 Frankenstein LPU, cooton light green flight suit and white cotton flight gloves. A USAF Korean war B-29 Superfortress crew in action over North Korea wearing cold weather gear. 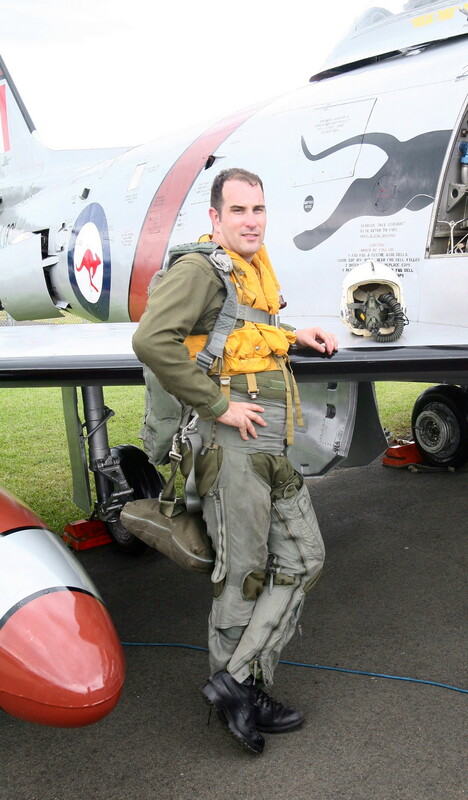 The pilot wears a B-15B flight jacket , a personalised flight cap as was regularly done in Korea before “standards” were applied, a HS-38 headset, backpack parachute harness. 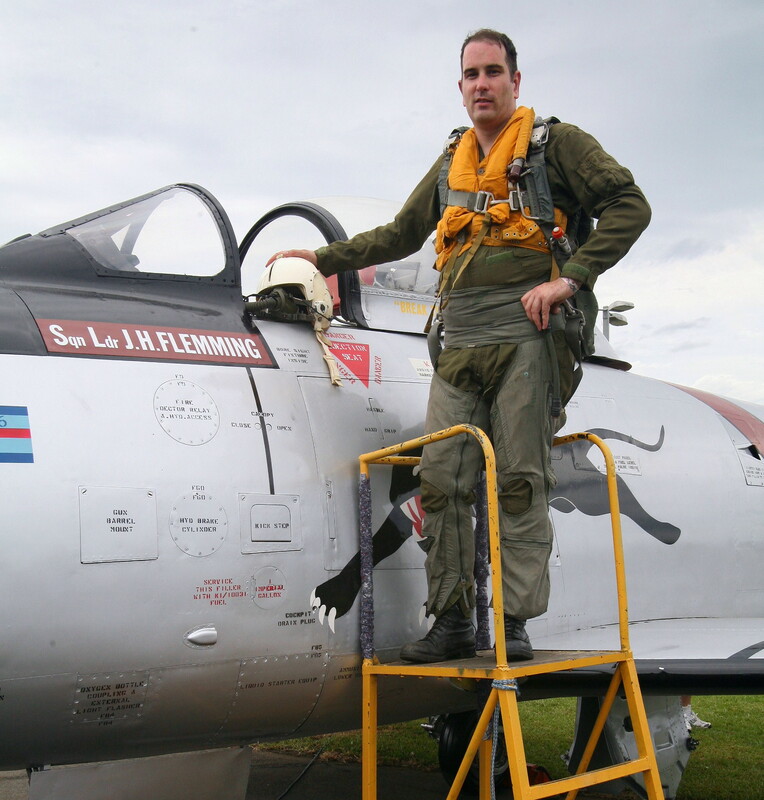 The other crew member next to the pilot wears a garrison flight cap, B-15C flight jacket maybe and a backpack parachute harness. 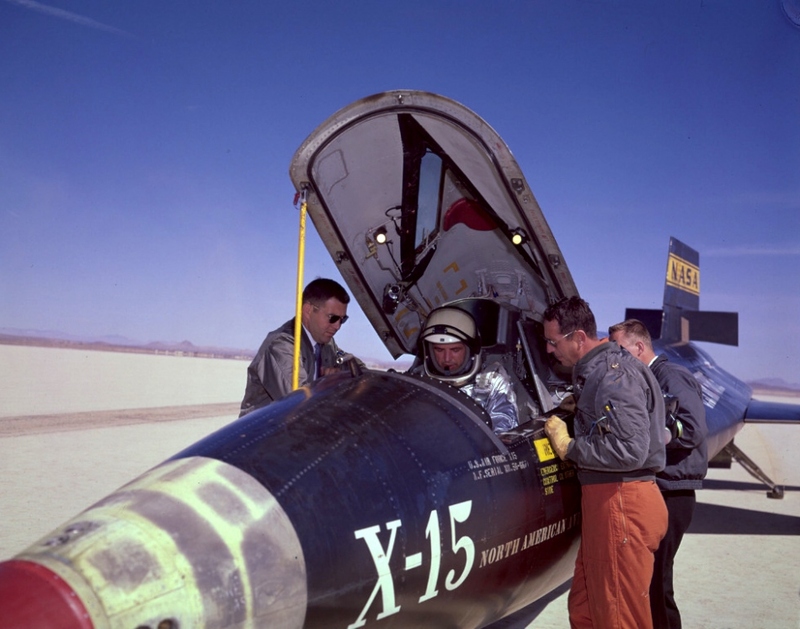 The X-15 used a pilot with high altitude flight gear – requiring very specialised gear at the time. This type of flightgear was designed to be heat resistant incase of high altitude and high speed bail out. The silver suit was a MC-2 and the MA-2 flight helmet were state of the art in mid to late 1950s when designed. This 1960s view shows a another USAF pilot wearing K-2B orange flight suit and a L-2B flight jacket. 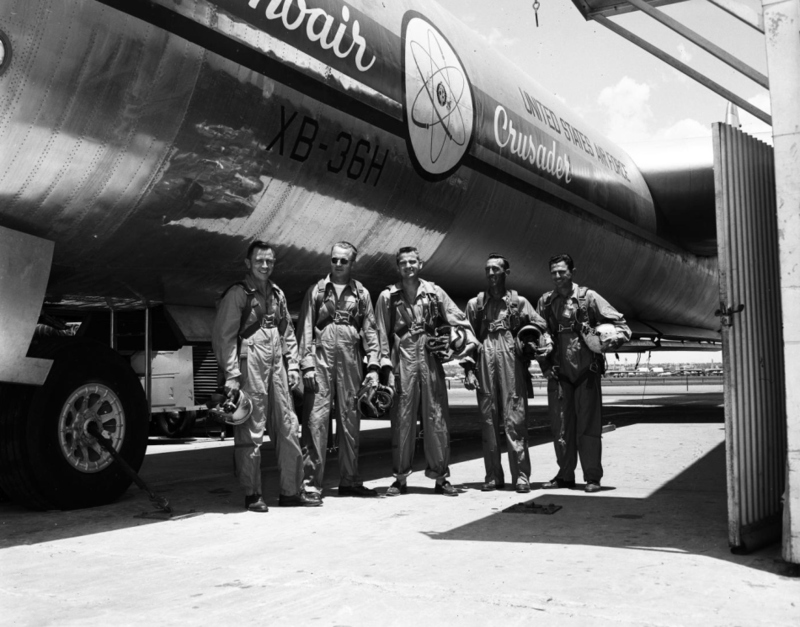 The USAF tested a B-36 which carried a nuclear reactor onboard in 1950s. Here we see that brave crew in the XB-36H. All wear tan company flight suits, backpack parachute harnesses and P-1A flight helmets with MS22001 oxygen masks. Some have visors on helmet, others have B-8 flight goggles and some have microphone booms instead of MS masks. 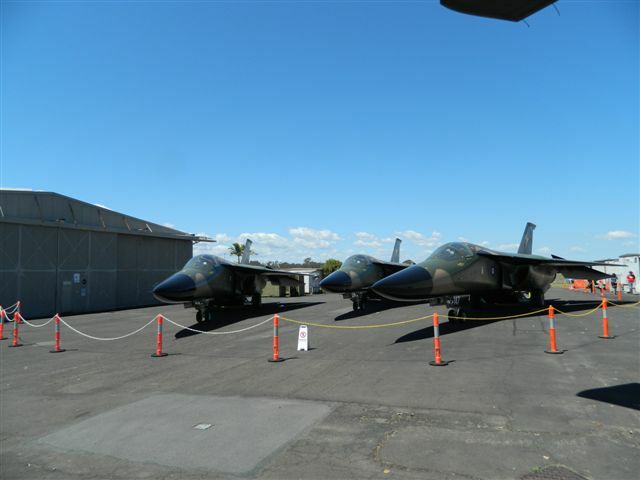 October 2012 saw the Australian Federal Government finally release the eagerly awaited for preferred recipients for the remaining of the once tip of the spear RAAF strike force – the F-111 fleet. 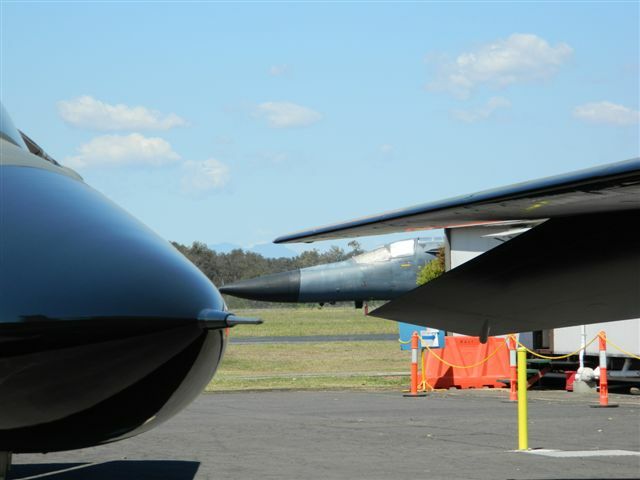 Since December 2010 when the F-111 37year old fleet was retired from active service, museums and heritage organisations across Australia have been eager to acquire a slice of the RAAF’s history, providing they can meet the necessary OHS and stringent conditions placed on display which can include glass wall panels to keep people away from the aircraft as seen already at RAAF Point Cook Museum. Various other demil processed have to be done to meet the required US military enforced display status, such as removal and destruction of the TF-30 engines due to concerns that Iran could acquire the engines for the F-14 Tomcats which still fly. 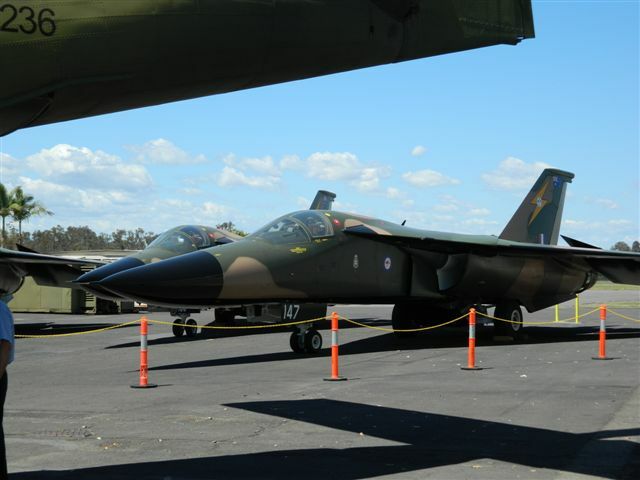 Sadly for all Pig fans, most of the RAAF’s F-111 fleet was buried underground in November 2011 near Amberley, in a large scale operation which saw RAAF F-111G (former SAC FB-111A Nuclear bomber then USAF F-111G strike bombers) and RAAF RF/F-111C airframes forever buried. 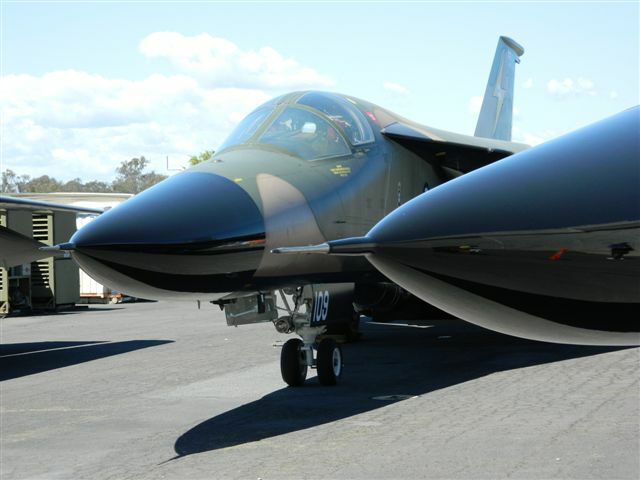 They were buried effectively as “waste” due to defence treaty conditions and costs/hazards associated with storing such a large number of the F-111s. 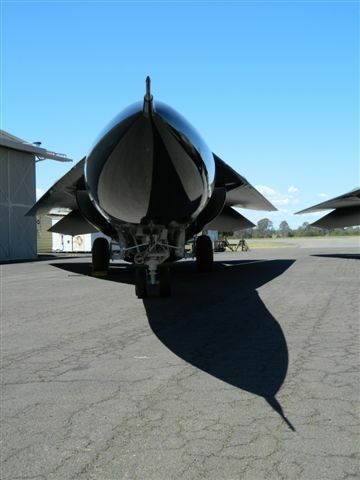 Over the last 2years a very public campaign driven by many aviation museums across Australia to see more F-111s be preserved and saved was started and the Federal Government relented eventually and approved so far, 6 airframes for public museums and others to go to RAAF bases. At RAAF Amberley on the weekend of October 14 2012 on display was a unique event, where the public was allowed to view 3 of these refurbished Pigs basking in glorious warm southern QLD sunshine for one last time before they go their separate ways….. 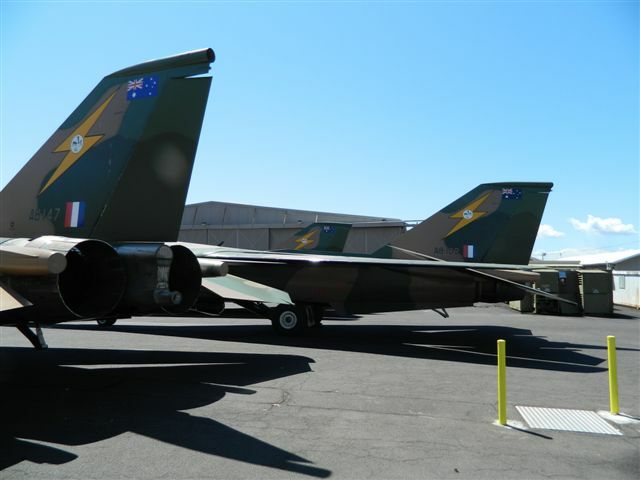 The appointments of 6 airframes to the public museums will mean the public can see up close across Australia now a variety of different F-111s. The aircraft which have been allocated for museums are reported as A8-109, A8-113, A8-129, A8-134, A8-147 and A8-148. 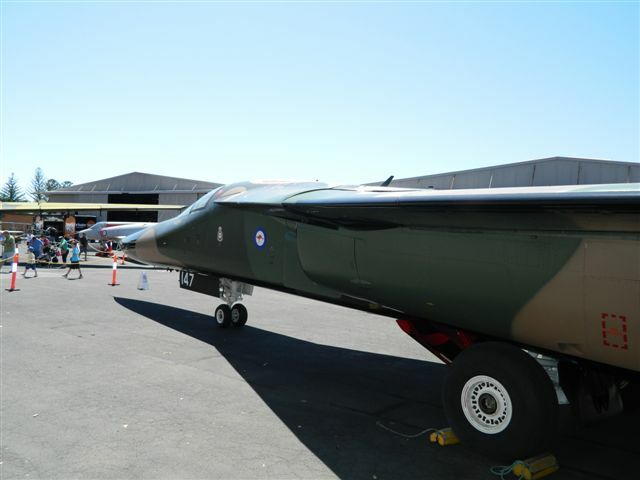 The Australian Flying Corps and Royal Australian Air Force Association – WA Division Inc WA – is reported to be given an F-111 crew capsule/module for display. 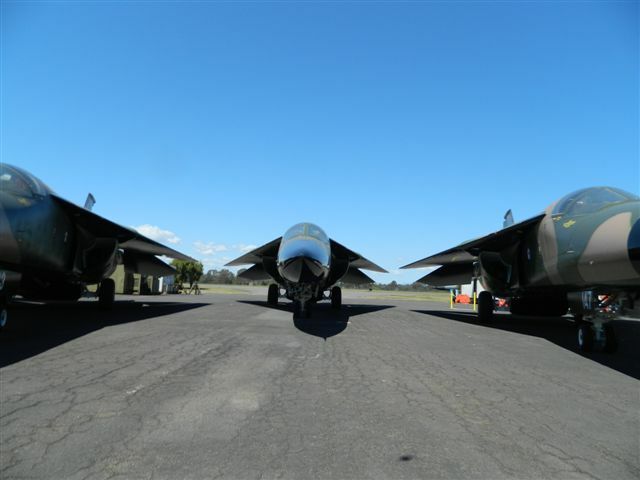 So far the RAAF has kept a few F-111s for their air bases with Point Cook displaying an F-111C and F-111G, Amberley has a F-111C and RF-111C on display, while Wagga Wagga has an F-111C and Edinburgh has an F-111C allocated these 2 Pigs are not yet publicly displayed. Some of the preserved aircraft have in last 2yrs been repainted in their original 1973 South East Asia camouflage scheme of Dark Green, Medium Green, Tan and Black with full high vis colour markings, while others are retained in their overall gunship grey scheme from service and one was repainted in a special ARDU test/trial scheme. The airframes which have been loaned to the aviation museums and historical organisations are expected to be delivered from early 2013 once all the display conditions can be met which will include controlling people access to the cockpit, housing the aircraft in a completely enclosed building or display area and preventing unauthorised access to specific wing areas and the internal weapon bay. 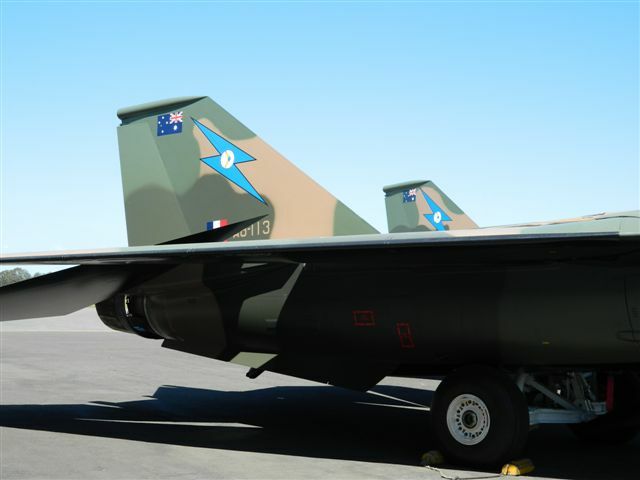 The RAAF F-111 crews used over the 37years, a variety of flightgear but in a general view, the equipment didnt change too much just improved versions. 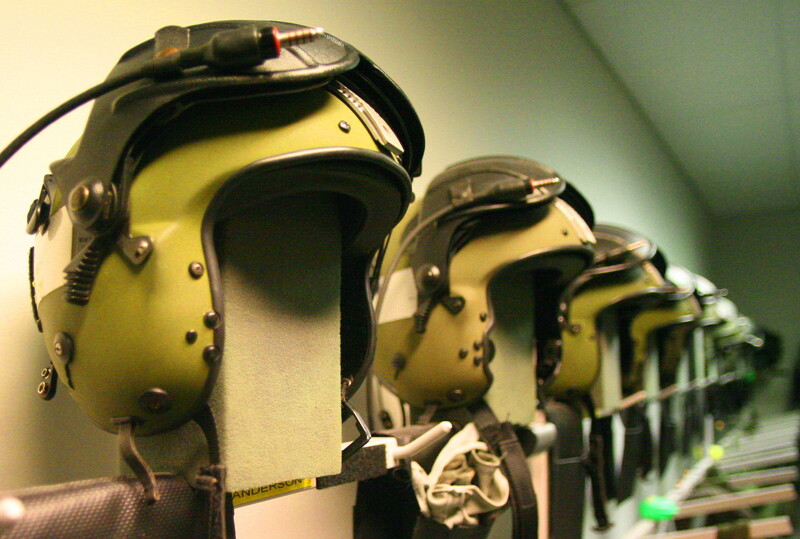 By the 1980s the HGU-26/P flight helmet came into use and the Secumar LPU was issued. 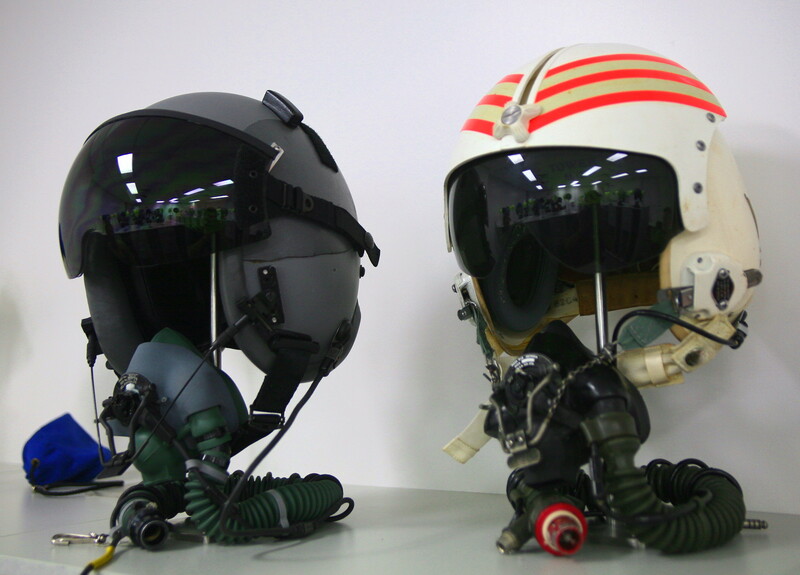 By the 1990s Green and grey P type oxygen mask combinations were seen and the introduction of the HGU-55/P flight helmet was implemented. The HGU-55/P was low viz and less weight than a HGU-26/P helmet. (below is seen the HGU-55/P on left with the HGU-2A/P on right for a comparison of 30years of flight gear development. 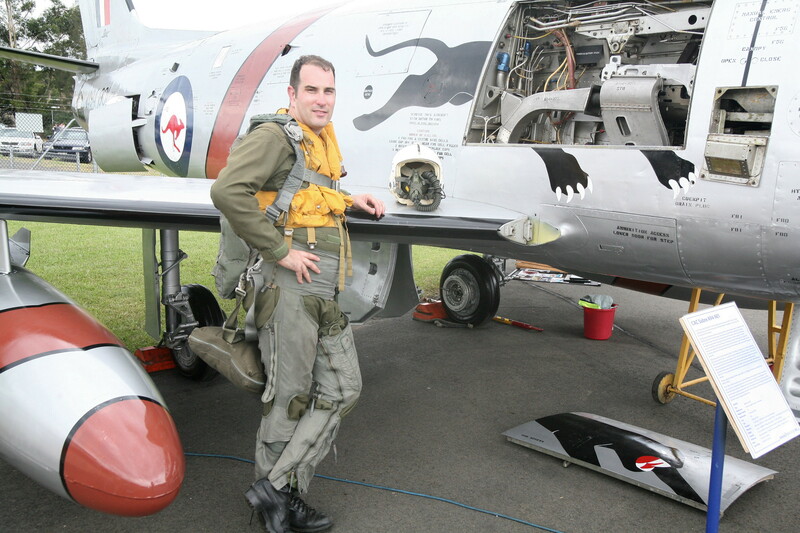 By the time retirement came in December 2010, the HGU-55/P and P type oxygen mask was still in mainstream use by 6 Sqn. 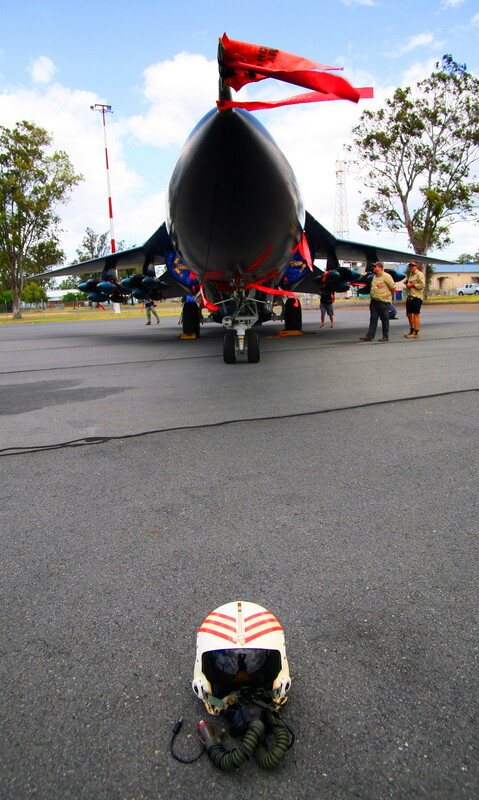 The final tribute goes to the men and women who flew and maintained this superb strike machine for 37years. 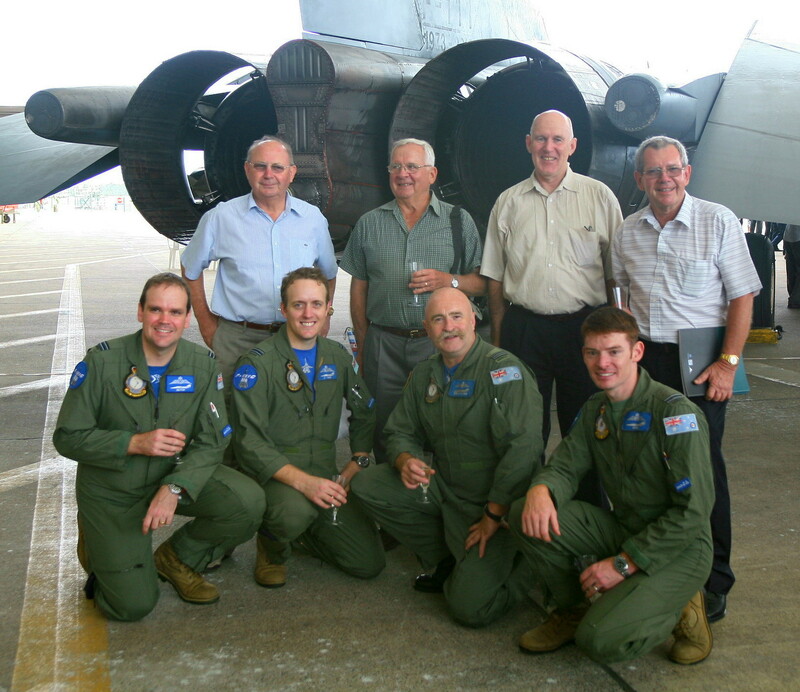 On the last day of flying Dec 3 2010 – RAAF aircrew from the first F-111 operations in 1973 posed alongside the last flight crews who had gathered at RAAF Amberley. 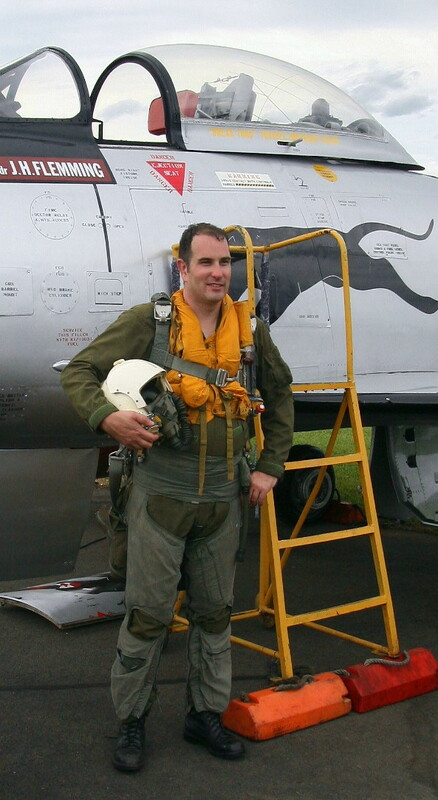 The RAAF aircrew wore CWu-27/P style flight suits with RAAF patches.The “Pig Tales” was a unique event and one never to be repeated on such a scale with so much emotion. 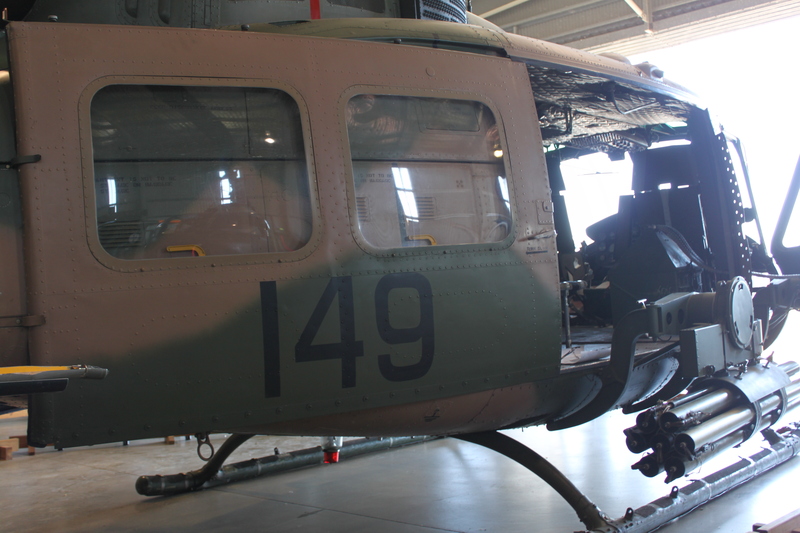 First flying in the mid 1950s and became a common sight in the 1960s, as operated in combat over Vietnam, the UH-1 Iroquois otherwise better known by its nickname as “Huey” has become in its lifetime an iconic helicopter. Noted by its distinctive, “whoop whoop” blade sound as it slices through the air, this note was always the first signature anyone would hear of the approaching helicopter. 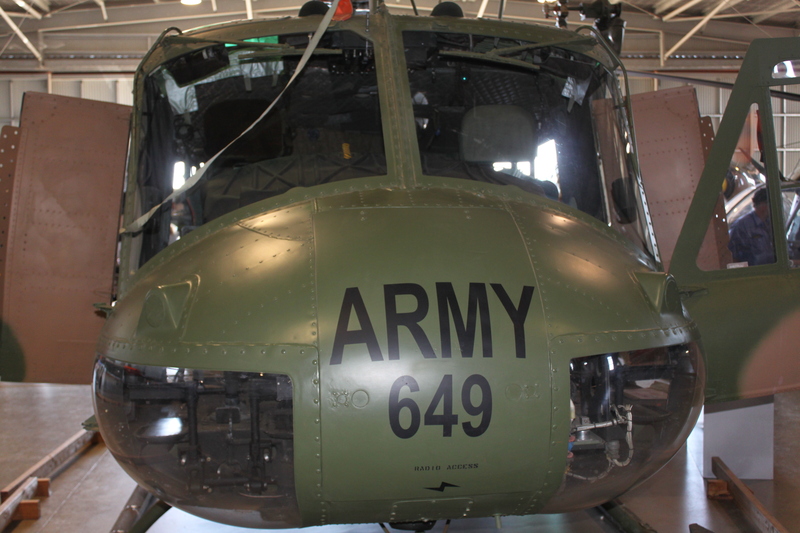 It has served well and become a dependable helicopter in both military and civil operations around the world. Lasting in service for over 45years in serving the nation, the Australian Defence Force operated 3 different models of the Huey – UH-1B, UH-1D and UH-1H. Originally operated by the RAAF from 1960s until 1989, the Hueys (along with other types such as Kiowas, Chinooks and Blackhawks) were transferred to Australian Army Aviation (AAAVN) control, where they flew right up until their retirement 18years later in 2007. 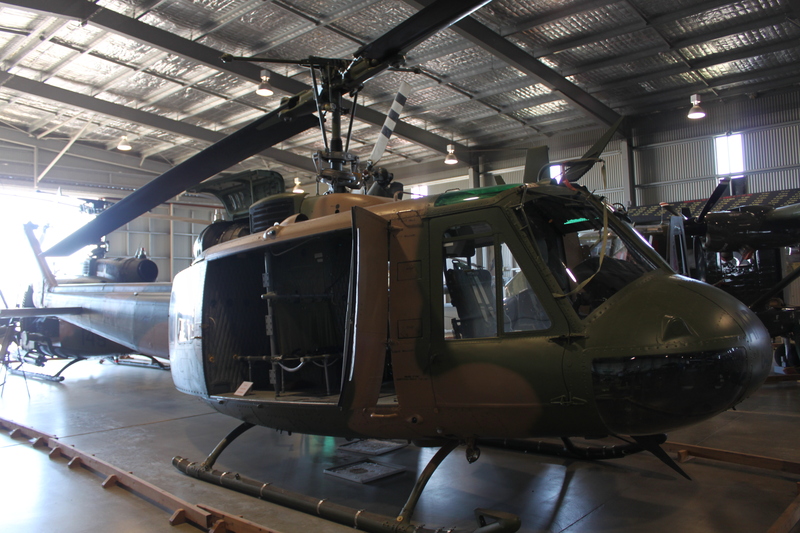 The Hueys were placed into storage in at Damascus Barracks, Queensland after retirement awaiting an outcome. The Hueys were retired as by the mid 2000s, they had become old airframes and newer technology would be replacing them in the form of the MRH-90 and Tiger helicopters. The Australian Hueys were used in 2 versions in active service (within Australia or overseas), as either a transport or “slick” variant which conveyed troops into battled and armed with only M-60s machine guns at the doors manned by door gunners for defensive fire. The other variant was an upgraded Huey operated as an airborne weapon platform as a gunship. 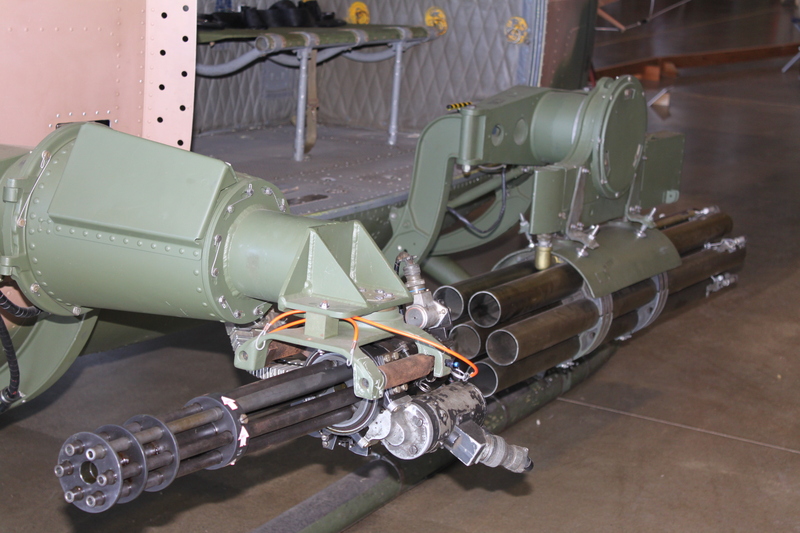 These were callsign assigned as “Bushranger” and were modified and packed a considerable punch being armed with 4 x 7.62mm M-60s machine guns (later versions having MAG-58 machine guns instead), 2 x 7 tube 2.75inch FFAR rocket launchers and 2 x GAU-2/A 7.62mm minigun systems which can spew out between 2,000 to 6,000 rounds a minute. 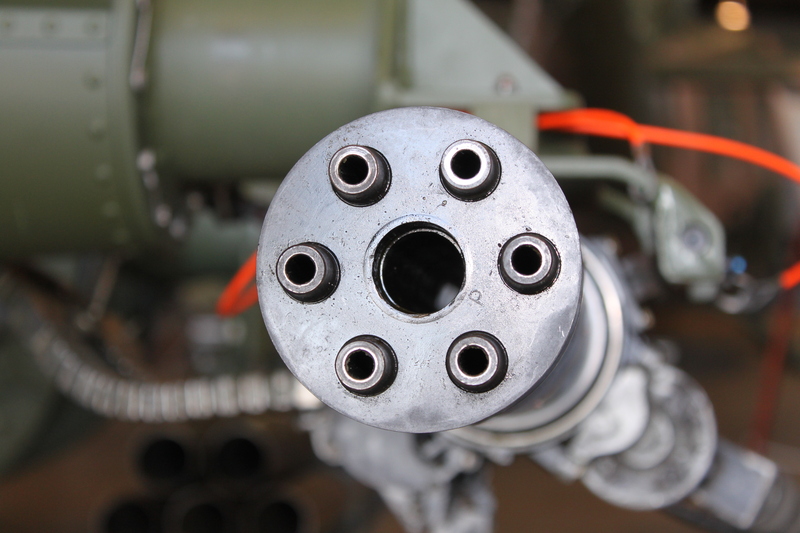 The Bushrangers work in Vietnam saved many Australian troops’ lives with their impressive firepower. The pilots and aircrews on the Hueys over 45years were brave people and took their jobs seriously. Some paid the ultimate price sadly and were killed on flying operations. After the Vietnam War, Hueys were used in Australia and around the world taking part in civil aid programs, flood relief operations, military exercises and overseas UN deployments stretching from the Middle East, South East Asia to many Pacific Islands. The Bushranger model was retired in 2004 with the weapon kits stripped and these were then used as “slicks” instead. The Australian Government has now 5years after the retirement of the Huey fleet, in October 2012, released six Hueys to various organisations across the country, so that the Huey can go on public display. The museums locations where the Hueys are going to include the Australian Flying Corps RAAF Association Western Australia Division, Vietnam Veterans Associations of Australia Mitchell Sub-branch Victoria, Caboolture Warplane and Flight Heritage Museum Queensland, Port Pirie RSL Sub-branch South Australia, Merredin Military Museum Western Australia, Scottsdale RSL Sub-branch Tasmania. 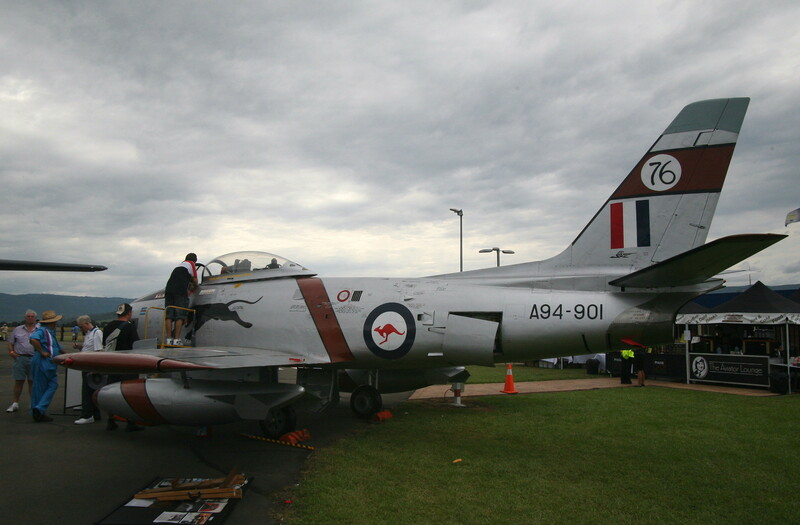 A few more have also been put on display at RAAF Amberley, Singleton Army Museum and RAAF Point Cook Museum. Another is stored for the Australian War Memorial. According to reports some of the Hueys have also been released for RAAF base training airframes at RAAF Wagga Wagga as ground training aids for new personnel. The remaining few still in storage may still be sold off to a private overseas operator. 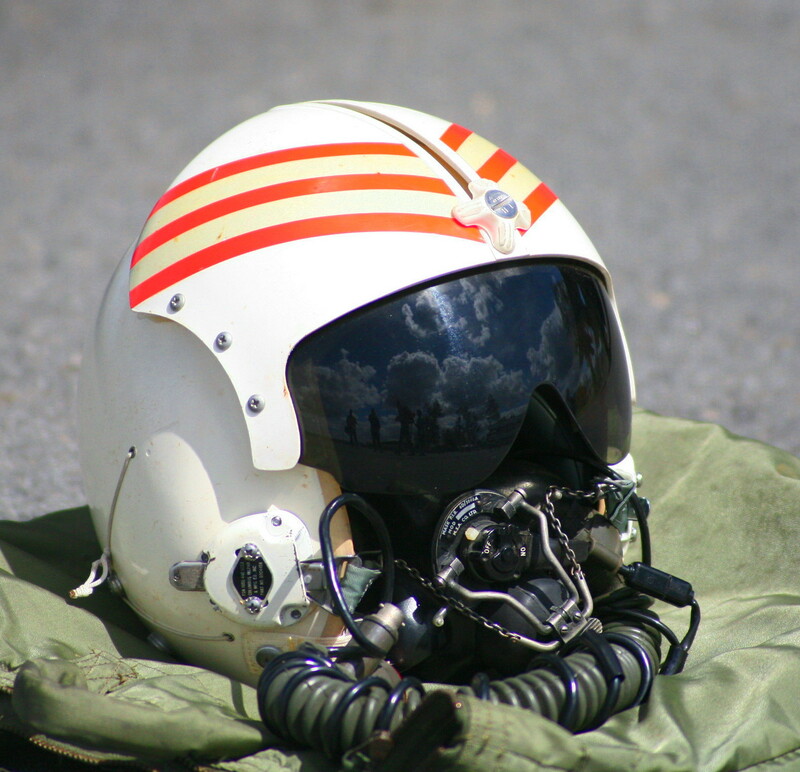 Aircrew have worn over the year cotton and nomex flight suits, cotton and nomex gloves, APH-5 , Alpha and HGU-56 flight helmets. All helmet types were fitted with microphone booms and in later years as technology advanced, were upgraded to take state of the art NVG packs. 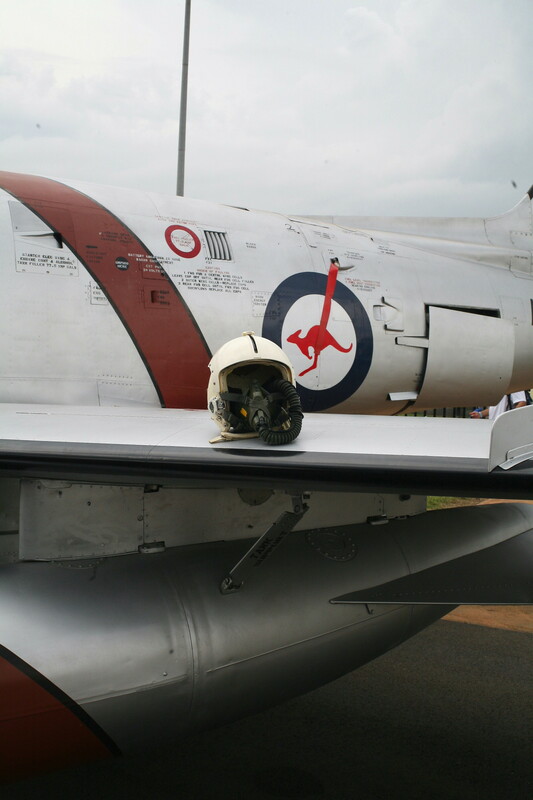 Shown below is some example of flight helmets as worn by Australian crews over the years. 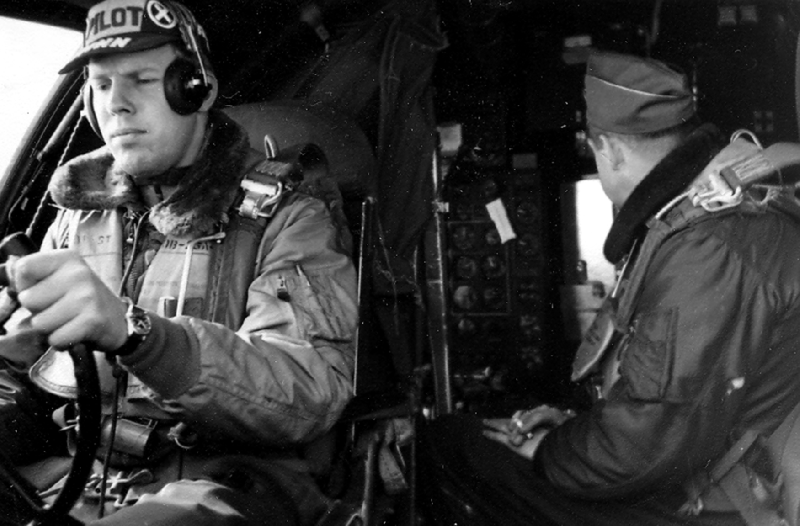 A USAF Korean war era B-29 crew member wearing a N-2A jacket with fur hood, B-5 LPU and backpack parachute harness,L-1 flight suit, , brown flight gloves, A-1 flight boots for high altitude and A-11C flying pants. US Navy pilots of WW2 discussing a mission somewhere in the Pacific. 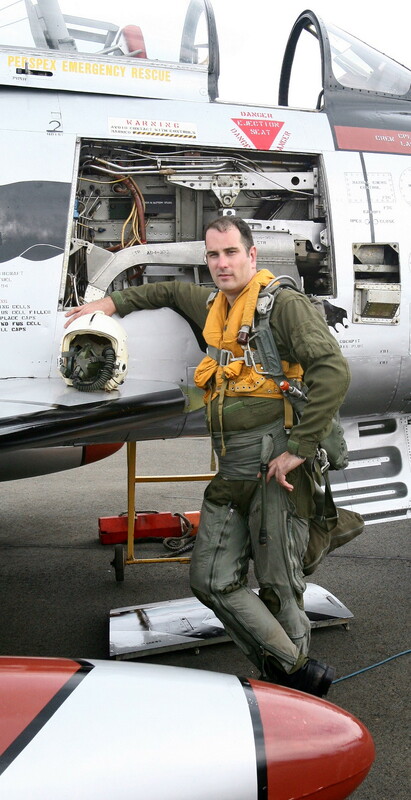 Note the M-450 flight helmet, goggles, tan flight suit and QAS parachute harness. 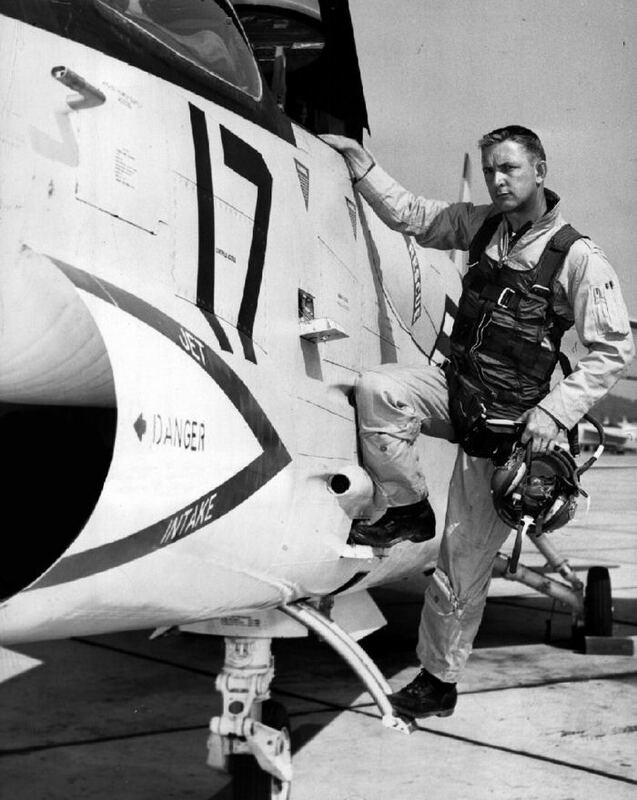 Late 1950s era US Navy pilot with APH-5 with has markings on it, seen alongside tan flight suit, MK-2 LPU and G-1 flight jacket. 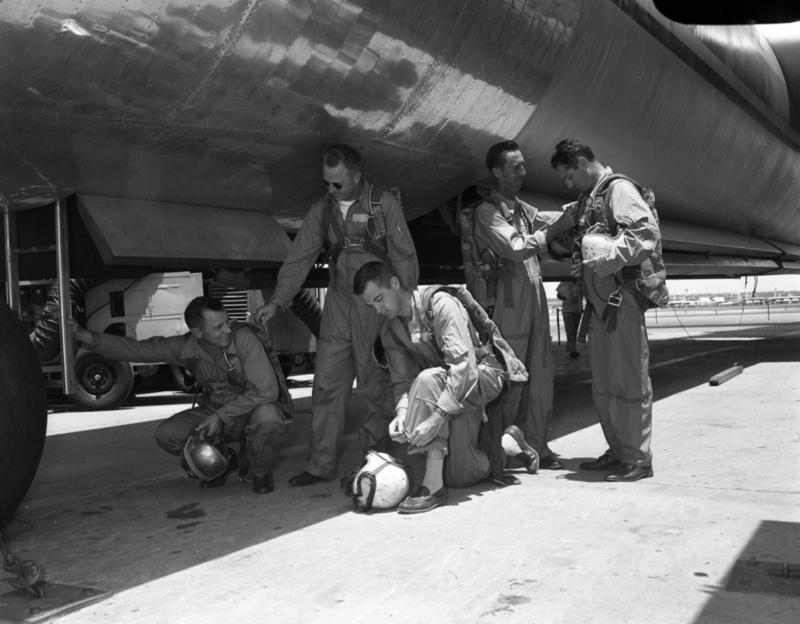 Convair B-58 trail crews wearing high altitude flightgear – MA-2 flight helmet, backpack parachute harness and K-2 flight suits. Late 1940s era/1950s pilot in P-1B flight helmet with B-8 goggles, B-15 jacket and rather oddly a A-10 oxygen mask from early WW2. It is thought to be a prop photo for a display? Israeli Meteor pilot in a tandem seat trainer Mk 7?, wearing in mid 1960s, HGU-2A/P flight helmet and a British Type H oxygen mask. 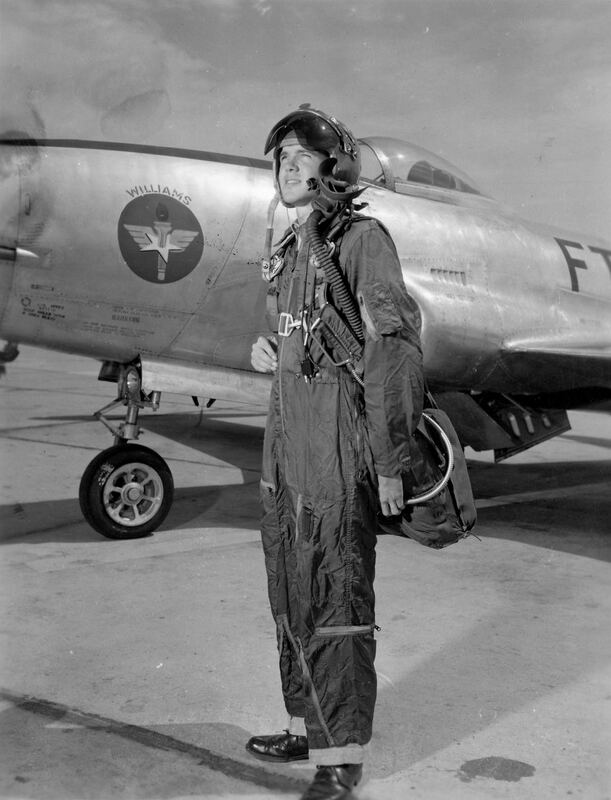 XF-88 test pilot wearing very early Lombard Toptex pilot helmet.along with A-14 oxygen mask. These types of Toptex late 1940s are near impossible to acquire as they are keenly sought after by many collectors. A 1949 era B-36 Peacemaker crew member on the flight engineer panel wearing non standard flight gear such as a HS-38 headset and a throat microphone. He sits on a seat parachute harness. A 1940s era P-80A? 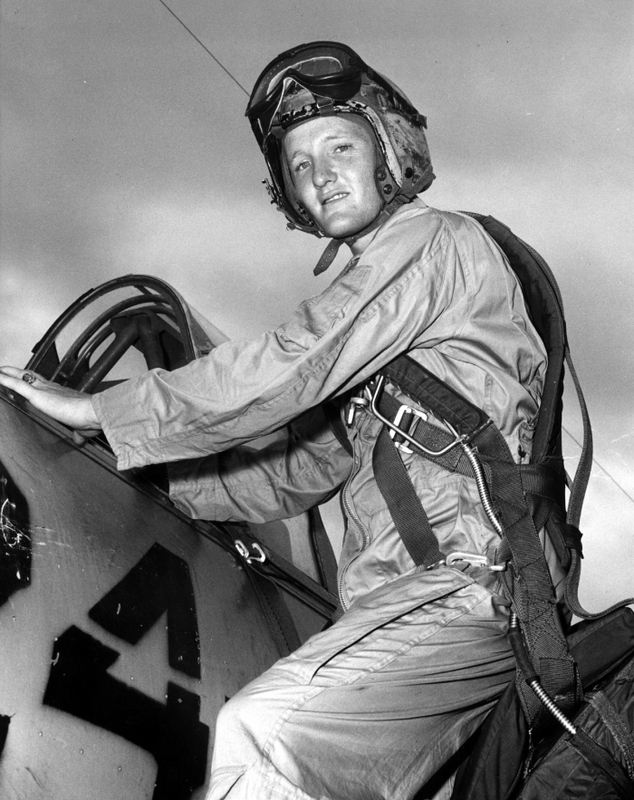 test pilot wearing K-1 flight suit, holding a Toptex flight helmet and A-14 oxygen mask. 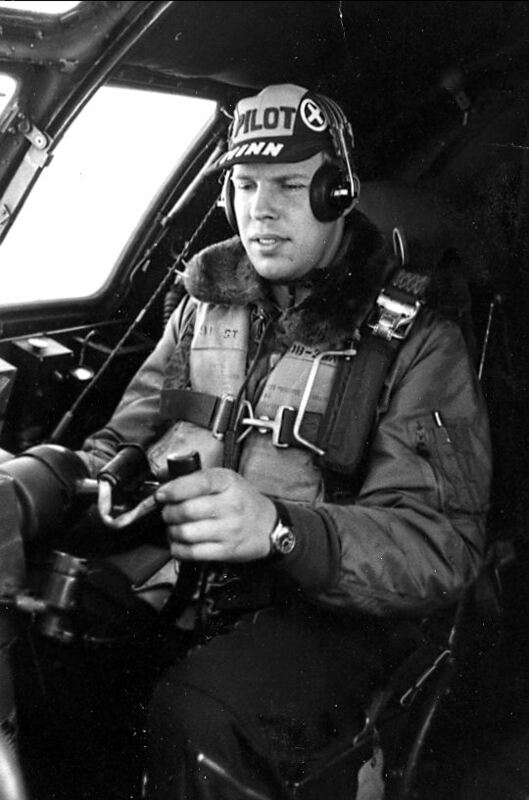 A B-57 Canberra test pilot wearing a later generation Toptex helmet in 1960s with a visor on it. A recent acquisition towards the RAAF heritage flightgear collection of mine was a rare to find Australian issued BE-310 SARBE radio/beacon used for survival location of a downed aircrew member. SARBE rather conveniently stands for ‘Search and Rescue Beacon Equipment’. 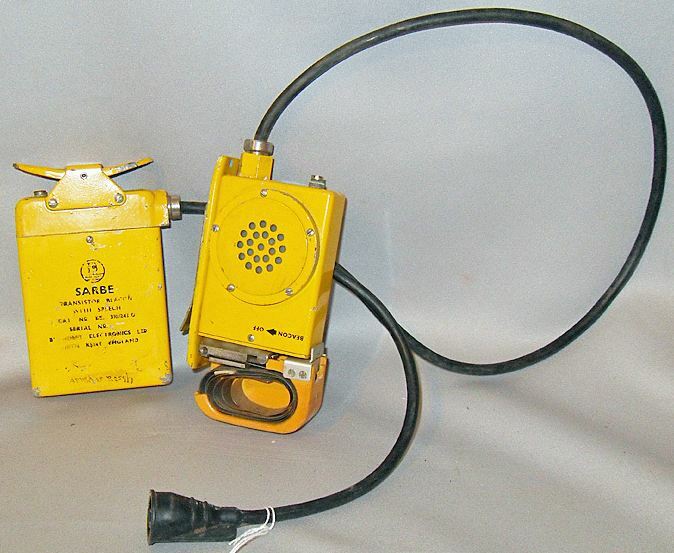 The SARBE beacon were made in the UK for the RAF and these radios were also exported to Australia. They were distributed by an Australian company in Melbourne who then supplied them to the RAAF / Royal Australian Air Force. The beacon was composed of 2 parts a transmitter section with a 2 press keys and an antenna section with a collapsible metal antenna used to transmit the signal to rescue forces. The antenna was unfolded out of its coiled up housing and this allowed the signal to reach up into the sky. The speaker and transmit keys are used to talk to the rescue force. The black plug enabled this radio beacon to be connected to a dry-cell battery pack for longer life. There were two types of this beacon, this type as shown here which had a voice Tx/Rx with the handheld PTT box and the other variant which is just a pure locator beacon. The SARBE beacon i acquired is marked as “Sarbe Transistor Beacon with Speech – Melbourne” with a s/n unreadable. 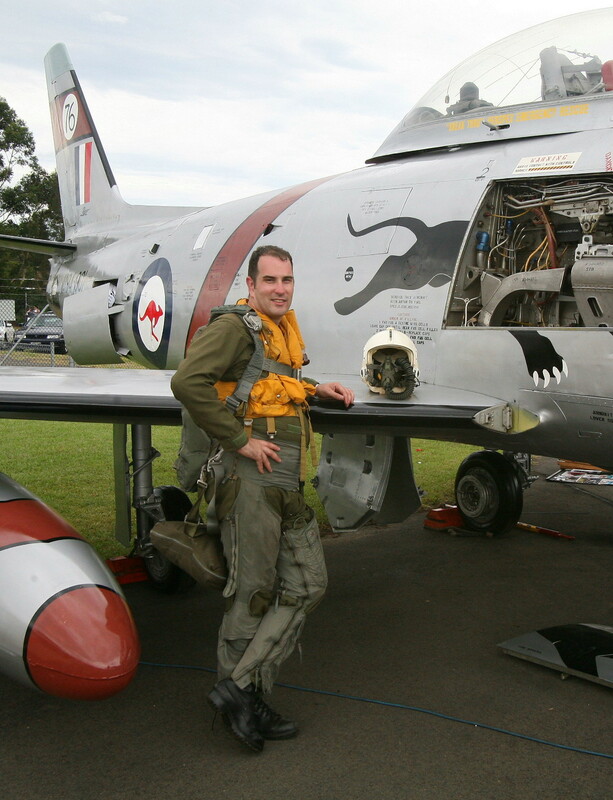 This article reviews the late 1960s RAAF fast jet pilot who would have been found flying CAC Sabre Mk 32 in Air Defence roles in Australia or in Thailand at Ubon RTAFB. My flightgear photo shoot was done using the aircraft which is cared for by the HARS Museum located at Albion Park airport NSW. (Visit www.hars.org.au for more information.) 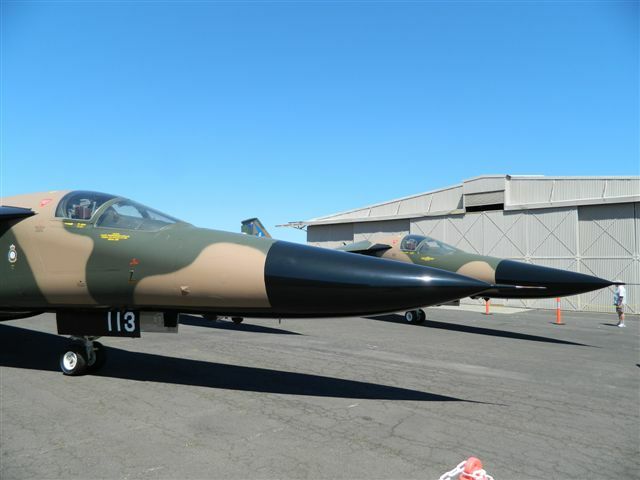 This very Sabre jet aircraft was the first production CAC Sabre and it was A94-901 markings. As it was the first production jet it was issued to ARDU unit for tests and trials in mid 1954. Later on it was upgraded from Mk 30 to Mk31 variant over time. 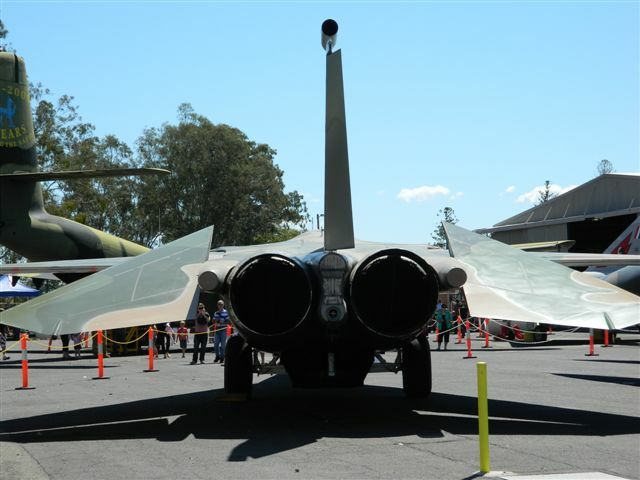 During the 1960s the aircraft served with 76 Sqn at RAAF Williamtown “Panthers”. By 1966 it was retired and stored and eventually ended up at CAC at Fishermens Bend in Melbourne as a gate guard display. 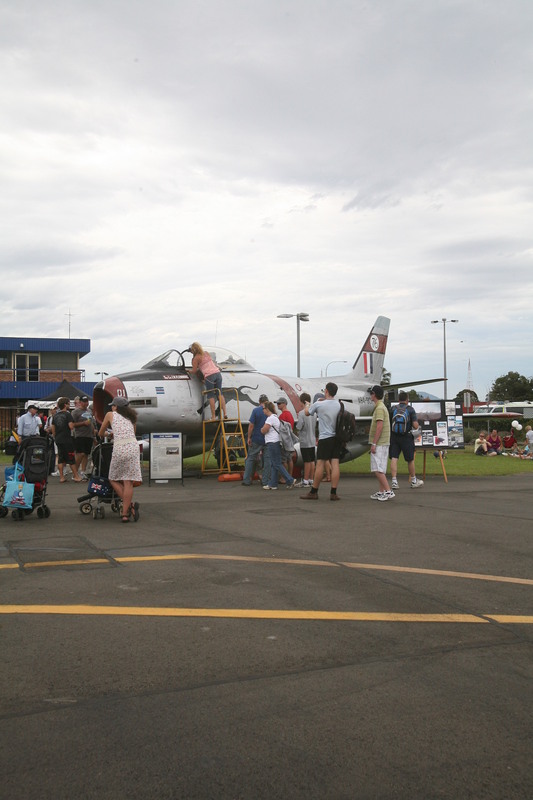 By late 1990s the aircraft was brought to Sydney and then HARS has acquired it on loan and have since further restored the aircraft to static standard and it is a centre piece on museum days and airshow days. 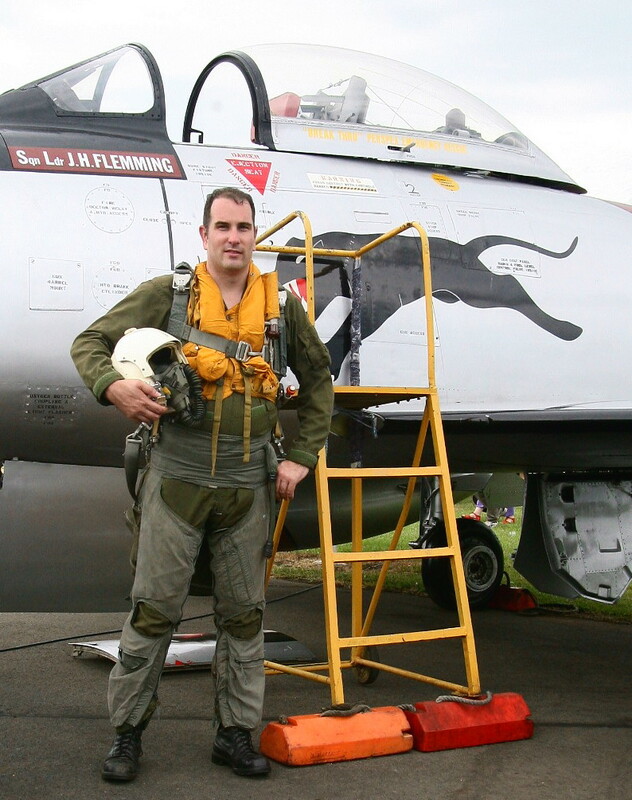 Along with my photographer mate Christian we did a photo shoot to show people what the typical fast mover pilot of the 1960s looked like beside the Sabre jet. The typical setup was by this time standardised on a few different gear pieces. The flight helmet was the HGU-2A/P with a P type oxygen mask or in extreme rare case MBU-5/p oxygen mask was substituted. The yellow RFD life preserver was made in Australia under license from the 1950s to 1980s and is a copy of the RAF Frankenstein LPU. It has a Co2 bottle on left front and red top. The bottle was activated by pulling down the lever and this injected Co2 into the internal bladder of the vest which then inflated the bladder to keep the pilot floating safely on water. Various survival aids, radio and equipment could be packed into the vest many pockets. It was also attached to the life raft kit. The flight suit was by late 1960s upgraded from standard RAAF light green cotton flying suit to the then new aramid nomex flight suit which offered more protection in flash fires in cockpit or aircraft fires. These early generation nomex suits were made in a darker green colour and hotter and heavier to wear. The standard backpack style parachute harness was worn by all Sabre pilots worldwide in the 1960s and was slotted to fit into the NAA T-4E-1 ejection seat for a comfortable fit. A chest and 2 lap buckles on straps were what held the parachute to the pilot. A life raft kit was normally added , which also doubled as a pilot’s seat cushion. Standard flight boots – laced up black colours were normally worn by all pilots. An anti g suit or more commonly known as a “gsuit” was worn to enable a pilot to “pull” extra gs in a dogfight or when turning in flight. The RAF supplied model anti g suits were most common but by the 1960s a limited supply of USAF CSU-3/ g suits were in service as the RAAF converted more to a US supply chain for flightgear/alse needs. The g suit connected to the aircraft by the tube on left side and this provided the air pressure to work the suit. 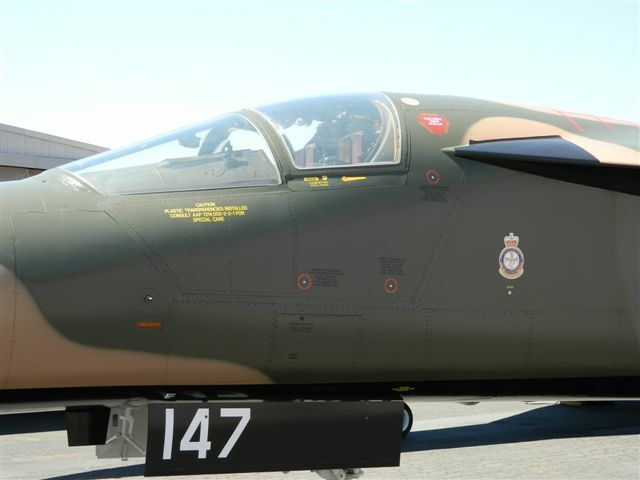 A94-101 has been painted in markings of Jim Flemmings who is a well known former RAAF pilot. 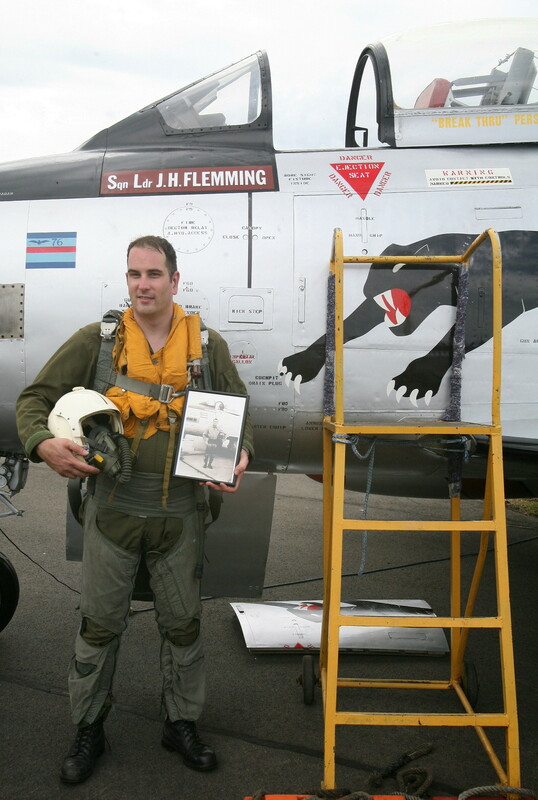 I am seen holding a rare photo of Jim, who is also seen standing in flightgear in front of a Sabre jet in 1960s. 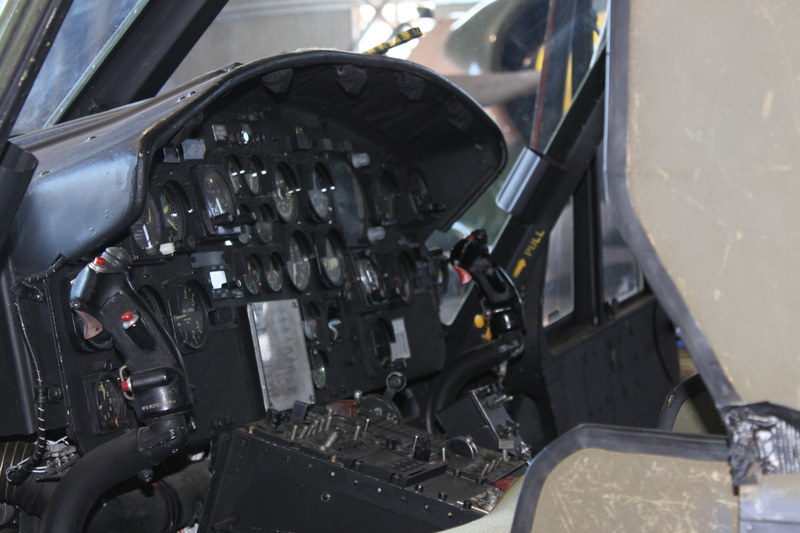 The aircraft is extremely well cared for by a team of volunteers, some who are quite passionate about the aircraft. Want to learn more about flightgear? Want to learn more about flightgear – join the most talked about group online at http://groups.yahoo.com/group/flyingclothing and discuss flightgear issues with 300 other members. Join the group by following the request to join process.